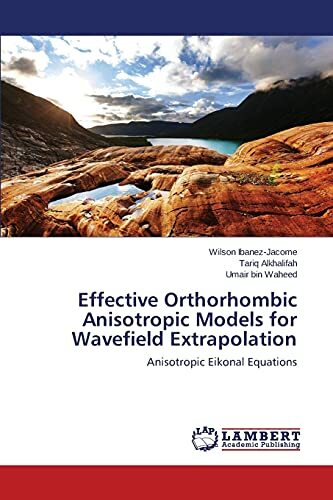 Wavefield extrapolation in orthorhombic anisotropic media incorporates complicated but realistic models to reproduce wave propagation phenomena in the Earth's subsurface. Compared with the representations used for simpler symmetries, such as transversely isotropic or isotropic, orthorhombic models require an extended and more elaborated formulation that also involves more expensive computational processes. The acoustic assumption yields more efficient description of the orthorhombic wave equation that also provides a simplified representation for the orthorhombic dispersion relation. However, such representation is hampered by the sixth-order nature of the acoustic wave equation, as it also encompasses the contribution of shear waves. To reduce the computational cost of wavefield extrapolation in such media, I generate effective isotropic inhomogeneous models that are capable of reproducing the first-arrival kinematic aspects of the orthorhombic wavefield. In order to compute these traveltime fields, I have developed a stable, efficient and accurate algorithm based on the fast marching method. The effective velocity models are then generated and used for wavefield extrapolaton.